No, really, we're not having you on. And it's not only the green space that gets property hunters in EN1 and EN2 purring. The area's wide variety of homes and brilliant transport links make this part of North London highly sought-after. Ten miles north of central London, Enfield has the M25 motorway to the north, Barnet to the west, Epping Forest to the east and Wood Green and Haringey to the south. 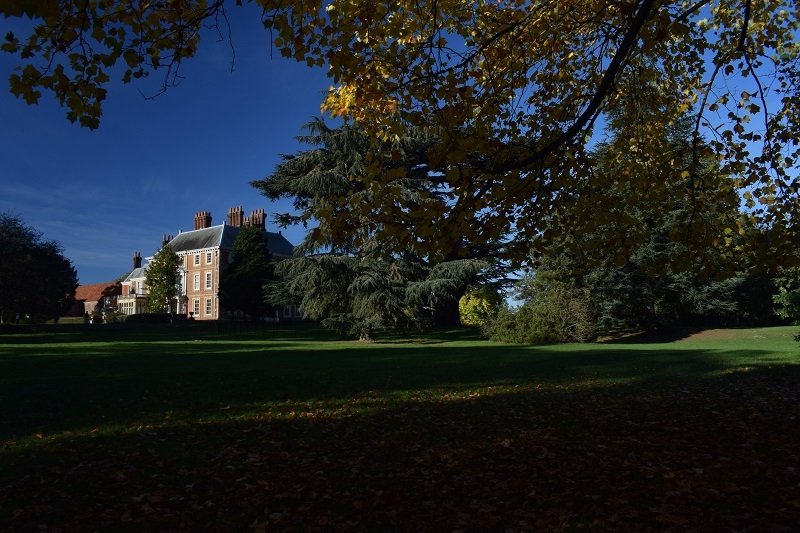 With more green space than many London boroughs put together, Enfield's Forty Hall and Trent Park, not to mention nearby Epping Forest, the area is also loved for its small town feel - always an attractive trait surrounded by the hustle and bustle of London. Whether you are set on a period home or prefer something a little more modern, Enfield has it all. Best known for the Georgian delights along Gentleman's Row in the town centre and Victorian terraces and semi-detached homes, Enfield also has a healthy stock of period cottages, 1920s and 1930s family homes and modern apartments. 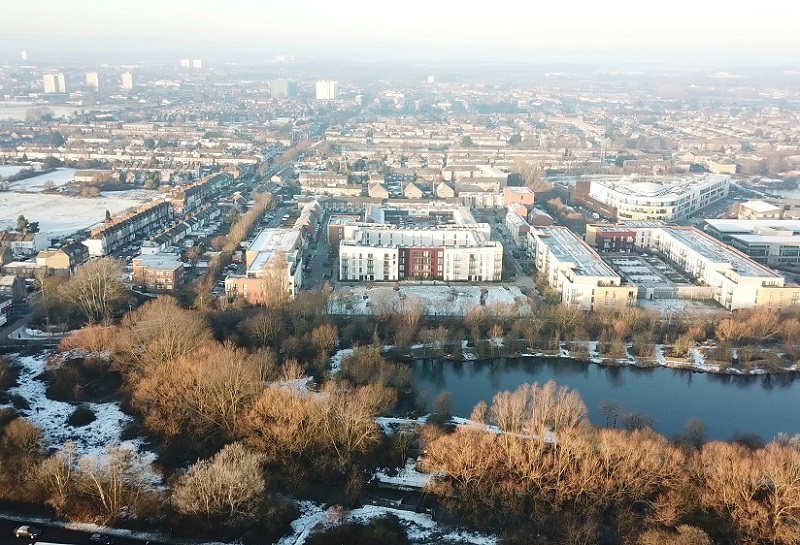 Enfield house prices have stood up well to the economic uncertainty and sales slowdown of the past 18 months, although transactions were down 10.2% over the past 12 months, compared with Greater London' overall figure of -10.8%. Sales of terraced and semi-detached homes formed 58% of Enfield transactions over the past 12 months, while 34.8% were flats. Meanwhile, Enfield's average property value rose by 2.4% over the past year, compared to Greater London's fall of 0.3%. 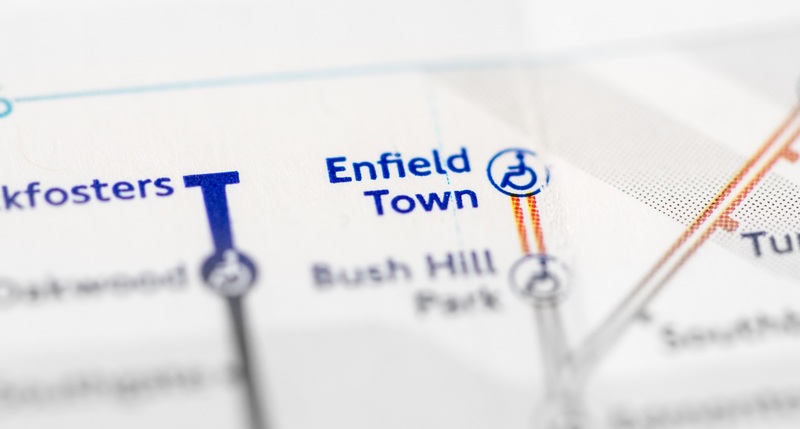 In zone five and 10 miles north of central London, Enfield's appeal is boosted by both road and rail links. The M25 sits on the northern edge of the borough, while the A10 Great Cambridge Road runs from junction 25 of the M25 south to Shoreditch and north to the M11 south of Cambridge. The Overground runs from Enfield Town into Liverpool Street and takes around 30 minutes, with the option to change for the Underground at Seven Sisters. Trains from Enfield Chase run into Moorgate in 30 minutes and again commuters can change to the Underground, this time at Highbury & Islington or Finsbury Park. Enfield Town centre's nearest Underground station is Oakwood on the Piccadilly Line. As well as the attraction of green space and commuter links, Enfield's schools are also top of the tree. Among the primary schools rated 'Outstanding' by Ofsted are St George's RC, Eversley, Worcesters, Forty Hill CofE and Enfield Heights. Enfield County School for Girls and Highlands secondary schools, meanwhile, are also judged to be 'Outstanding'. When living in an outer London zone, it's easy to assume that central London is the only place where lovers of shopping can satisfy their craving for high street giants. Not so in Enfield, which has no fewer than three shopping centres, not to mention vibrant high streets bursting with independent retail and food outlets. The Palace Gardens and Palace Exchange shopping centres are a stoneâ€™s throw from Enfield Town and Enfield Chase stations and house the likes of H&M, Next, Monsoon, Topman and New Look, as well as independent department store Pearsons. The Palaces also feature a JD Sports store and full service M&S. Edmonton Green Shopping Centre, meanwhile, boasts a host of independent stores alongside more common household names, while Southgate High Street and the A10 Retail Park offer yet more retail therapy for locals and visitors. Among the more commonly-known chain restaurants, Enfield's unique eateries across various cuisines are hugely popular with locals. Few are better than The Beautiful South on Windmill Hill, which has served classic British and Mediterranean fare since 1998. Lovers of Indian food, meanwhile, should head to The Poppadom, also on Windmill Hill, which serves a host of classic Indian and Bangladeshi dishes in a great atmosphere. Enfield's green spaces really are second to none and can transfer even the most urban soul away from life in the city. Trent Park and Forty Hall are the best spots, while Broomfield Park and Capel Manor Gardens are also worth a visit. Whitewebbs Museum of Transport is also superb for lovers of history. Ropes course Go Ape has a centre at Cockfosters, while the Jump In trampoline park just off the Great Cambridge Road and The Play Centre at Edmonton Leisure, close to Edmonton Green station are also superb for keeping the little ones entertained. If you are looking at moving to Enfield, take a look at our properties for sale and to rent, or get in touch with Ellis & Co Enfield who would be happy to answer any questions you may have on the area.